This entry was posted in Reviews and tagged 4*, freakonomics, non-fiction, reading challenge, review on June 6, 2017 by mel. Forgotten Self is a really good read. Although I’ve not read a huge amount of books in the YA Angel/Demon field – Hush Hush series, Katherine Pine’s After Eden (good) and a couple more I won’t mention as they were shockingly poor– I quite like them when they’re done well. Forgotten Self is done very well and of those I’ve read I would rate it as the best. 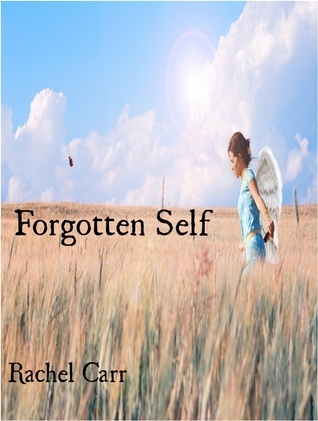 This entry was posted in Reviews and tagged 5*, angels, demons, forgotten self, rachel carr, reading challenge, review on June 13, 2012 by mel. Have many of you signed up for reading challenges this year? Up until recently I’d not really done anything too strenuous for this, just given myself the reasonable target of reading a book a week, so 52 for 2012 on the Goodreads challenge…but then there was the March Dystopia challenge (which was just five books for my target) and I got through them. It was quite nice to blast through some books from the tbr pile, looking at what everyone else was reading and chatting about the BotM. This entry was posted in General, Reviews and tagged 2012, auggie-talk blog, goodreads, goodreads 2012 challenge, heavenly reading challenge, olympic reading challenge, reading challenge on April 15, 2012 by mel.